To bring a new dimension in the booming field of science, E Ink Corporation has taken a forward step by developing a real paper like display: E Ink that is basically known as electrophoretic ink. Based on Electronic paper, this technology gives the impression of being a printed paper. As we know, the young generation is gaga over digital repository instead of traditional libraries, which has given nativity to e-book devices. 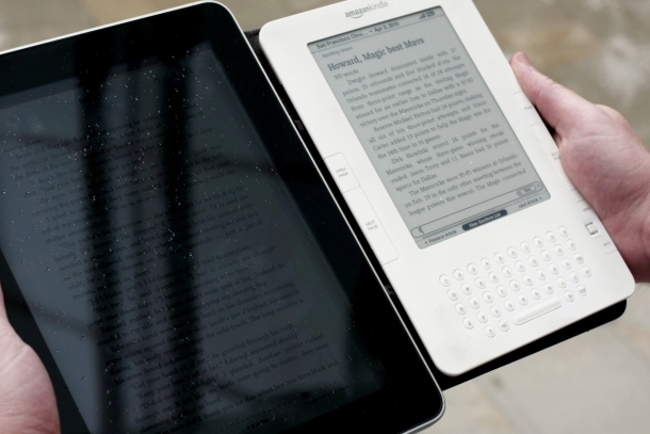 When it comes to reading eBooks, there are two choices, either go for a dedicated e-paper-based device or buy a tablet, which features LCD screen. But, which will be a better option? E Ink Vs LCD Screen: Which Offers The Best Deal? If we will dive into these two varieties of display, there are several points which make them unlike from each other. Firstly, in terms of display, e-readers are ideal for producing black & white text as well as reflects light like paper instead of emitting, but they can’t display colors. On the other hand, backlit flat panel displays produce a wider range of colors to render a pleasant experience in gaming and watching videos. Touching the subject of sunlight readability, then E Ink swallows up the frontlet of sunlight-readable efficient display. At this place, users can read the e-books and periodicals with full clarity and they are also easy on eyes. Whereas, if you want to carry an LCD-based tablet in direct sunlight for reading, then its light behind the display generates an extreme amount of glare on the screen that is a bit annoying. Here, you must be thinking that e-paper mobile electronic devices are able to display text in Night or not? Yes, they comprise a small light on the front of their screen, which capacitates the appropriator to read even in a dark room without any compromise. Interestingly, many electronic ink can hold static text and images without electricity, which we have seen in YotaPhone. Complementing the last attribute of E Ink’s low power consumption, through which it can go for weeks or for months without a recharge. For instance, Amazon Kindle Paperwhite has been claimed to confer a battery lifespan of 8-week even at affordable value of $119. Whilst, iPad mini with Retina display ($400) has 10 hours of battery life. So, there is no need to worry about the charging of an E Ink device because it manifests itself to be your promising companion even in rural areas, which face the electricity problem. However, companies are still striving to make this technology truly a perfect proposition for consumers to actually commercialize it. But, it seems worth to states that E Ink is currently a clear leader in display, which gives a great price-to-performance ratio. Apparently, a longer battery life along with clear visibility in direct light are the eye-catching traits of E-ink. And, due to these advantages, major players of electronics industry such as Amazon, Sony, Samsung, Barnes & Noble and many more has adopted this technology.